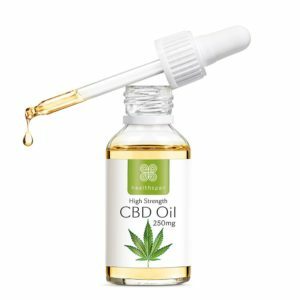 Home/Healthcare/CBD Oil: Is it non-addictive in nature? Cannabidiol (CBD) is used to treat various health disorders by utilizing its therapeutic properties. CBD oils contain various concentrations of cannabidiol depending on the use and quality. It comes from the cannabis plant to leave its effects on the body in different ways. CBD is produced by the human body and it has CB1 and CB2 receptors in the body. CB1 receptors are present in the brain to deal with brain movements like controlling emotions, pain, thoughts, memories and various functions with their coordination. While on the other hand CB2 receptors are effective in dealing with inflammation and pain. It was first believed by researchers that CBD needs its receptors in the human body to provide various benefits which is now observed as the opposite. CBD directs the human body so it may use its own produced cannabinoids. CBD oil is made by diluting the extracted CBD from its plant with either coconut oil or hemp seed oil. It is used for treating chronic pain and anxiety through various uses of the product forms. Although CBD has various health benefits, it may also pose risks for the human body. Some of the side effects include diarrhea, fatigue, and reduced appetite. It may also interfere with medication which should be taken care of. Debates continue to discuss the effects CBD could have associating it with marijuana. However, the study of WHO states that an oral dose of 600m is safe and does not overrule the scales of Addiction research centre. There are no negativities seen in the report which states CBD as safe and non addictive. CBD products are available in different forms to provide various benefits to the human body. some of the forms of CBD are taken as drinks while others can be mixed with food. Also, CBD is available in form of paste and capsules for its application on skin. Some of the benefits are listed below to have an idea of its effectiveness. Helps treat chronic pain – CBD impacts the receptor activity in the human body which reduces pain and inflammation. It is also effective in treating arthritis related pain with its ailing properties. Anxiety – This is a common health disorder people suffer these days from and it may have various impacts on a person’s well being. Although, anxiety and depression is most commonly treated with the help of medicines, CBD claims to improve health condition with its ailing properties. It is better to avoid drugs that may cause headaches, dizziness or insomnia as side effects. CBD oil is considered safe for treating stress as it will not have side effects in this case. Help treat Cancer – CBD is effective in reversing cancer related symptoms and chemotherapy induced nausea. CBD and THC have better effects when combined together for treating various conditions. Reduces Acne – CBD oil can help you deal with acne which is another common problem people suffer. CBD oil has inflammatory properties which help in reducing sebum production. It stops the secretion of excess sebum which will then prevent acne breakouts on the skin. Treats Parkinson’s disease and Huntington’s disease – CBD has been able to treat various neurological diseases over time. It improves the quality of life for people with such diseases. Good for Heart – CBD has several beneficial properties for health including the heart. It is known for lowering blood pressure and reducing heart stroke risk. What do Researches Say About CBD ? CBD products are not considered safe by researchers as there is not enough evidence to support its safety. It may have risks and side effects which may also last for long. CBD oil is also known as an alternate for the addictive narcotics. This approach of managing pain might help in some cases, while they may also become an addiction.